I realised that while I blogged about the trip I did not do any specific posts related to the different places we visited or the sights that we saw. We went to many places on this trip, I gained so many amazing memories, saw many amazing tourist attractions but the one that was near the top of my list had to be the Grand Canyon. We had the option of going over the canyon via airplane but decided that having a walk round would give us a closer view. It was breathtaking, the walk was on a simple path that would be easy for most people to walk along. You could climb down a bit nearer to the edge, with some people getting really close to get the best photo shot! There are many areas along the path where you can sit down relax and admire the amazing view. 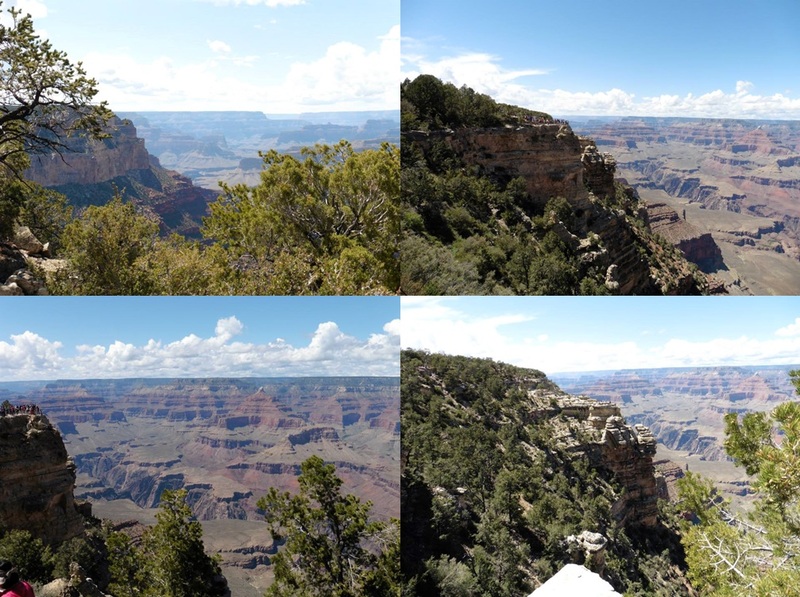 These are just some of the many many photos that I took and while they look magnificent they honestly do not grasp just how vast the Grand Canyon is! Obviously it would be physically impossible to walk round the whole canyon in one day, so the tour we were on selected a section that we would walk round. Along the way there were spring water taps where you could fill up any water bottles, this is with water from the Canyon itself. Much needed as we went in May and the weather was boiling! There was also a section where they had a timescale and at different points in time had information boards on the canyon itself. Which was a fun idea and added to the entertainment of the walk. We were sticking to a time schedule so were limited in our options of viewing the canyon, other than walking and an airplane ride, you can go on a boat in the waters at the bottom of the canyon, you could even climb up and down it or go on a donkey ride around a section. Overall I would have to say it was one of the best experiences of my life so far. 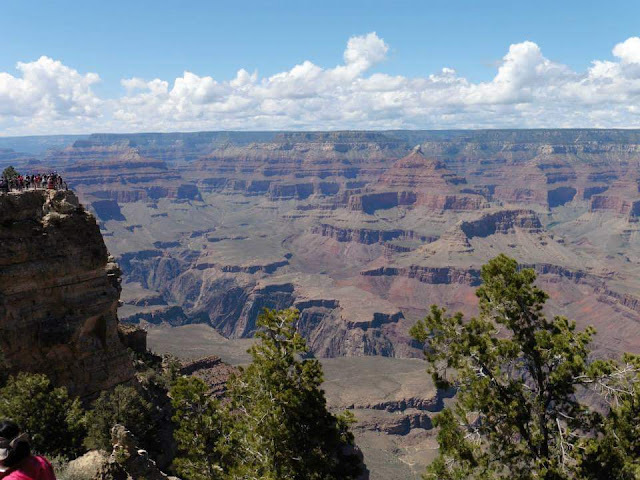 If you are ever considering a trip to America the Grand Canyon should definitely be on your list of things to see. Have you ever been to the Grand Canyon or California? What were your thoughts?